Less than 48 hours after Israeli spacecraft Beresheet crashed on the moon due to engine failure, billionaire Morris Kahn, who donated approximately $40 million to the moon-landing attempt, announced that there will be another attempt to land an Israeli spacecraft on the moon. Beresheet—Genesis in Hebrew— started as a private attempt by Israeli nonprofit organization SpaceIL, which Kahn currently chairs, to win Google’s 10-year space race competition Lunar X Prize. Israeli state-owned defense contractor Israel Aerospace Industries Ltd. (IAI). also took part in its development, which continued even after the competition ended with no timely winner. On Saturday, SpaceIL tweeted a video of Kahn announcing Beresheet 2. “We’re going to put it on the moon and we’re going to complete the mission,” Kahn said. 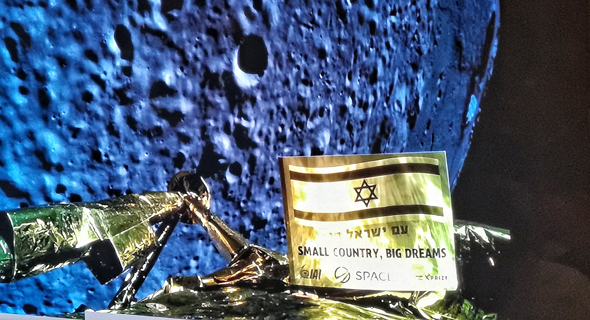 Successfully completing its landing would have made Beresheet the first private spacecraft to land on the moon, making Israel the fourth country to achieve a moon landing. Instead, it crashed on the moon, making Israel the seventh country to reach lunar orbit. Thomas Zurbuchen, the associate administrator for the science mission directorate at NASA, tweeted his support for Beresheet 2.0 and said NASA “will be right there” with SpaceIL for the next journey.